The Mekong River, the longest river in Indochina, is divided into nine tributaries within Vietnam and has spawned the vast Mekong Delta. The Mekong Delta is often referred as the ‘rice bowl’ and the ‘garden of heaven’, because of its rich soil which is ideal for growing fruit, vegetables and flowers. However, periodic floods have forced the local people to adapt their way of life to the vagaries of the delta and this tour allows you to experience their precariously balanced ‘life on the water’. Covers all the highlights of the Mekong Delta. Speed boat from Vietnam to Cambodia. Morning: We depart from Ho Chi Minh city to My Tho city for one and hafl hours by bus (90Km). Your expectations will be fulfilled by final boat trip back to My Tho on the Tan Thach natural canal. Then you will continue to Can Tho by A/C bus in two hours, arrived in Can Tho city – the heart of Mekong river. Check in at hotel. Afternoon: you will trek along the village to get in touch with the local people. Here, you have a chance to experience how to pass a “Monkey bridge” which is built by only one bamboo. Leaving the village, you will go to visit Cantho market, have lunch there. After lunch, our A/c bus will take you straight to Chau Doc. 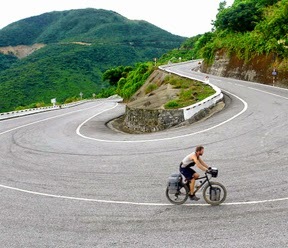 Arrive in Chau Doc, you will climb up to Sam mountain, admire the landscape, small villages among the broader. From there summit down the Vietnamese – Cambodian border, visit the Cave pagoda before you get to town and check in your hotel. Morning: After breakfast at the hotel, visitors take the nice motorized boat trip through the floating village to visit the fish farm and to see how the people in Mekong Delta raise fish on their floating house. Visit the Champa minorities with their traditional towel weaving village, have a look at their Muslim temple and the Arabic class for their children. Afternoon : The boat will return to Chau Doc and our a/c bus will take you to an Incense-stick factory for a visit then return to Cantho, have lunch there and then, our bus will transfer you back HCM City around 5.00pm. End tour. Say goodbye and hoping see you again.